Every time I visit Planeta there is something new happening. A dynamic attitude and the art of never standing still has taken them from a company that only planted its own vineyards in the mid 1980’s to quickly becoming one of Sicily’s leading lights. On this, my third visit in the last 4 years, several things impressed me. For a start, they have some exciting new wines from their Etna vineyards, in particular their innovative twist on the characterful white grape variety Carricante, to which they have added a touch of Riesling. Then there are their newest plantings at Capo Milazzo near Messina where, with the help of Italian grape variety specialist, Atillo Scienza, they are re-discovering some historic varieties, such as Nocera. And then there is their latest tourist development at La Foresteria which really takes their wine tourism proposition to a new level. Planeta have continued to reinvent themselves: from their start as Sicilian grape growers, to the creation of hugely successful global brands with international varieties, such as the Planeta Chardonnay, they are now investing even more in native Sicilian varieties. 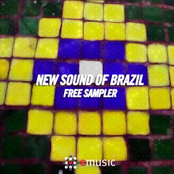 But to take a step back for a moment, Planeta have worked hard to get where they are today. Their family have been farmers and grape growers in the Menfi area since the fifteenth century. More recently, it was our host, Francesca Planeta’s grandfather, who along with other grape growers, established Settesoli, Sicily’s biggest co-operative in 1958. Settesoli have approximately 1,200 members and own 6,000 ha of vines making them the biggest co-op on Sicily. Their key brands are well known, Mandrarossa in the on-trade, and Inycon in the off trade have worldwide distribution. Francesca’s father, Diego Planeta became president of Settesoli when he was just 32 in 1973 and only retired two years ago in 2011. All that time and experience as the head of Sicily’s most powerful wine co-operative was not wasted on Diego who, coming from a background of grape growers, has not forgotten the value of owning vineyards in the right place when it came to creating Planeta’s own family brand. During the visit, our host Francesca gave us a telling snapshot of the company’s history with a story she told. 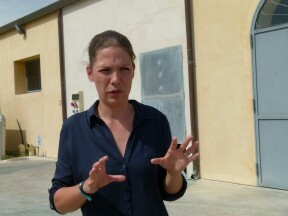 She explained that her father was always keen to plant more native Sicilian grape varieties because he had a vision and foresight for the future, but 20 years ago as a young woman she had to travel the world promoting their wines. She remembers trying to sell Sicilian wines, when after trying examples of native Sicilian grape varieties, the customer would always say, ‘That’s fine, now where’s your Chardonnay?’ She remembers almost crying and pleading with her father to plant more Chardonnay. Now things have come full circle: our other host, Patricia Toth, a young Hungarian winemaker, and one of six Planeta winemakers, says that although their famous Planeta Chardonnay is the main entry to the market and they still take a lot of care with it and their other international varieties, they are now experimenting a lot and re-discovering traditional native varieties. We arrived at Dispensa in Menfi, the hub of the Planeta empire. Having surprised even ourselves by arriving early, we stood around a while in the peacefully exotic surroundings, waiting for our hosts to appear. Although it was still only May we could feel the heat rising. As temperatures soared into the 30’s we could feel some of the searing intensity that Sicily gets, especially in these hot southern coastal areas – Montalbano country. 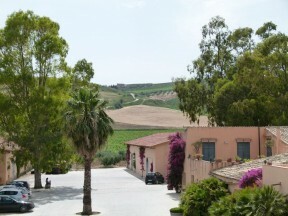 Dispensa (161 ha) is one of 6 key areas in Sicily where Planeta owns vineyards and has a winery. They have holdings at Sambuca Di Sicilia (93ha) also near Menfi, Vittoria (34ha), Noto (51ha) near Siracusa in the South East, Castglione Di Sicilia (16ha) on Etna and Capo Milazzo (8ha) near Messina. Each Planeta estate specialises in the local varieties traditional to those areas as well as some international varieties. However, Dispensa and the Menfi area are Planeta’s home-ground and the heart of Planeta’s production where their bread and butter, entry level brands, La Segreta Bianco, Rosé and Rosso and Planeta Chardonnay are crafted, so it is a core part of their operation. They have 363 ha in total in these 6 estates and 6 winemakers including Alessio Planeta who is Diego’s nephew and who works with Francesca and Santi Planeta to run the business nowadays. We had a brief tour of the cellar which is dedicated to the Segreta Brand. Here they produce over 2 million bottles in total including 600,000 bottles of Segreta Bianco and 500,000 bottles of Segreta Rosso. Significantly, 50% of their entry level, big brands are made from native grape varieties so marketing native Sicilian varieties has always been part of their aspirations. They now have 19 native Sicilian varieties planted in various locations and are working closely with Professor Atillo Scienza, one of the leading Italian experts in the DNA of native Sicilian grape varieties, to identify the best terroir for them. On a Master of Wine trip to Sicily the previous year, Professor Scienza had dropped a viticultural bombshell on us by saying that the Sicilian variety Nerello Mascalese was in fact Sangiovese and Nerello Capuccio was Carignan, but several producers on this trip were reluctant to acknowledge or accept that, perhaps wanting to retain the uniquely Sicilian identity of these varieties. In any case the subject was not raised at Planeta this time. I found myself wondering what the key to Planeta’s phenomenal success is. They have bought up vineyards strategically in Sicily’s key DOCs in order to produce an array of different wines and grape varieties that reflect Sicilian terroir in all its richness. This gives them a strong claim to being producers of terroir wines. Yet they have listened to the market – when the market demanded Chardonnay, they produced a world-class Chardonnay. Their successful Segreta range attests to their understanding of the importance of brands. I was in India last year with a group of leading Sicilian producers, including Planeta; when a serious accident meant that some of the wines could not be delivered, Segreta was one of the few Sicilian brands available locally in Kolkata. And they are one of the few leading wine producers on Sicily who truly understand how to benefit from wine tourism – their La Foresteria resort is a beautiful and relaxing place to stay with the added benefits of cookery courses, winery tours and trips to local temples. They have recently added access to a private beach with facilities to their already comfortably bijou, small hotel. 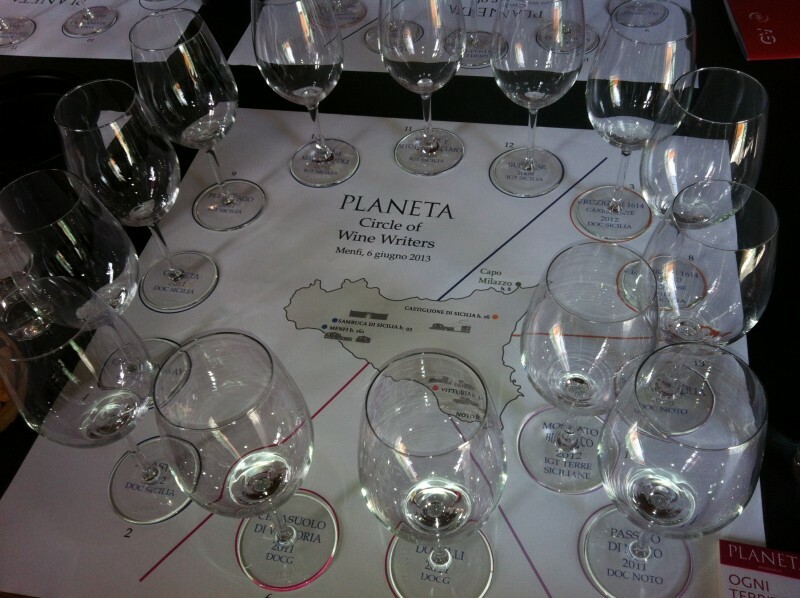 In a small but significant way, Planeta’s level of enterprise and market nous is reflected in the unusual tasting sheets they provide – large scale paper maps of Sicily, indicating Planeta’s six main vineyard locations; the circles where the wines are placed are stamped with the details of each wine. Not only is this a clear and useful tool for the tasters but it firmly imprints in the mind the nature and extent of Planeta’s holdings. (95% Carricante & 5% Riesling). It is not allowed to have the DOC Etna yet because the grapes are grown at a higher altitude and outside the officially allowed zone, but things may change in the future as the Etna DOC evolves. This wine was the star of the tasting for me. Mid lemon, slight heady, lemon oil notes with delicate white flowers on the nose. On the palate it opens at first a little broad, round & soft with an impression of honey & white flowers but this is quickly contrasted with a laser-like focus of steely lemon and mineral notes. The dab of Riesling makes for a richer mid-palate but also refines the already high acidity and tautness of Carricante. Beautiful wine, still young and not fully formed – crystal clear & pristine. Cometa 2011 DOC Sicilia. They bottled their first Cometa in 2000 but for the first two years the grape variety was kept secret and off the label as Fiano was not allowed officially in the DOC or IGT. I had tasted this wine a couple of times in the UK but the example I tasted here at the winery was much better than any I had previously tried. They stopped using oak in this wine in 2007. The wine is kept on fine lees until February after harvesting in September. Mid lemon, green toned, white peach and honeydew melon aromas with a slice of orange zest on the nose. Very clean & pure flavours, honeydew melon, creamy texture, balancing fresh acidity, no bitterness, medium to full bodied. Creamy, soft, succulent and fresh. Very enjoyable. Planeta Chardonnay 2011 IGT Sicilia. The grapes for this wine are sourced from two locations in Sambuca Di Sicilia – Ulmo close to the lake and planted in 1985 and Maroccoli at 400 m above sea level. The wines receive 10 months ageing in barrique. Famous Italian wine consultant, Carlo Ferrini helped to create and craft the Planeta Chardonnay. This was the wine that helped to put Planeta and Sicilian wine on the world wine map, however the style has evolved and they are going for a leaner, and more elegant weight on the palate. Deeper golden tones, richer nose, honey, lemon oil, nut, cream and big, ripe, yellow fruit. On the palate there is a nice fresh, juicy acidity balancing the rich impression created on the nose. Fresher, more citric, creamy texture, with very light bitter grapefruit pith adding balance and some toast, biscuity notes. Eruzione 1614 Nerello Mascalese 2011 IGT Sicilia. Like its sister white wine this wine is not allowed in the Etna DOC because it is outside the official zone. These vines are from 2008/2009 so are very young but they have now found a corner of 70 year old vines so things may change in the future. This wine is currently quite a light and delicate version of what it may become. It’s one to watch. Light ruby Pinot Noir-like colour, nose bit quiet with some light floral red fruits. Light weight, delicate red fruits. What I liked about this wine was the very gentle handling of tannins, which, with Nerello Mascalese, can easily get a bit rustic round the edges. Delicate Pinot Noir-like flavours, red fruits but needs more concentration and fatness on the palate. Good potential. Santa Cecilia 2009 DOC Noto. This wine is a 100% Nero d’Avola from Noto abd very near to the town of Avola which is where this grape variety originates. The upper level of soils here are very chalky, like in Champagne. Here they have worked with selected yeasts to isolate a local yeast MB21 and they avoid the use of new oak. Dark ruby, first impression on the nose is dried roses. Sweet round attack followed by juicy acidity and a long fresh finish. Very smooth, harmonious and well balanced with plum, bitter cherry & dark chocolate flavours & sage. Fine, gravelly texture tannins complete the picture – this is a very nicely handled, understated and subtle but serious wine. Very good. Passito Di Noto 2011 DOC Noto (100% Moscato Bianco). This is a sweet wine with a 180 g/l residual sugar and 9.5% alcohol. Picked mid-August, followed by 40 days of open air drying, then a long, slow fermentation at cool temperatures for 120 days! Bright green gold, sweet fragrant, delicate aromatics, nose of lemon Turkish Delight, spice & honey. Same flavours follow through on palate but with pink grapefruit and crystallised lemon peel too, cut with lively, zingy, acidity on the finish. © 2013 – 2016, Susan Hulme MW. All rights reserved.